July is all about zines. With the 24 Hour Zine Thing (which is in its 6th year!) and International Zine Month issuing the challenge to create and celebrate zines during the month of July, more about a handful of bookstores, ampoule distros, and other individuals in the zine world has issued another challenge that will last the whole year. Revenge of Print 2011 started from all those stories about technology taking over and making print and publishing a thing of the past. The challenge presented is to put down that e-reader and bust out another issue of your zine! A Facebook group has been created along with discussion forums so you can interact and share your creation, ideas, and resources with others. Distros and review sites are encouraged to post contact information, and individuals are encouraged to contact these sources and share their zine out into the world! If you have already created your zine, then you have already completed this challenge as well! But don’t let that stop you from creating more. 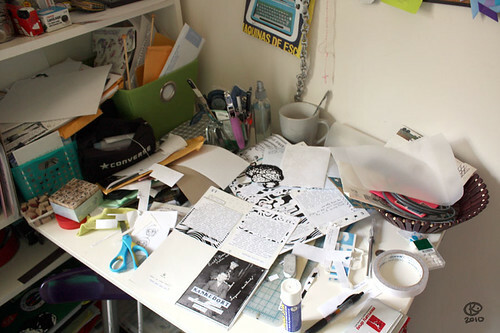 If you have not yet created your 24 hour zine, right now is a great time to start! And if you have not signed up yet, head over to the “signup” tab, fill out the form, and get started! and asked some really great questions. You can read the interview here! Check out the rest of their blog, which features tons of great zine reviews, or if you are in the area, stop by! 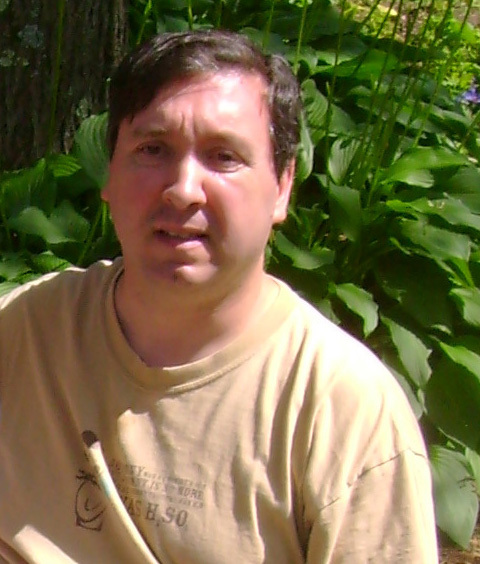 Rick Silva is the creator of the wonderful zine Caravan, and has participated in the event for three years now! Who better to ask about conquering the 24 Hour Zine Thing challenge? Why did you decide to participate in the 24 Hour Zine Thing challenge? It’s a great excuse to exercise some creativity. If not for the zine challenge, well, I didn’t HAVE to put a zine together this summer. It’s a great motivator to do something extra. What type of pre-planning, if any, did you do before starting on your 24 hour zine? My only pre-planning was to brainstorm a bit for ideas. With any kind of writing, I tend to mull it over in my head for quite a bit before I actually sit down to write it out. How did you get your idea for the topic of your 24 hour zine? My inspiration is right there (usually demanding that I play with him or feed him!). My wife did one minicomic about our first summer with our son. I wanted to do my own autobiographical piece. I also thought that I had enough fun material stored up from the past two years or so, that I could really do a fun take on “geeky parenting”. How did you come to the decision to use the type of binding method and size that you chose? I wanted to do some cartooning, so I knew I had to go pretty small or else I’d never get the zine done in time. I can’t draw at all, so I was using really crude stick figures, and I didn’t want to agonize over re-drawing them every time, so I knew I’d need to digitally copy/paste. Thus the decision for quarter-sized and to lay the whole thing out in MS Word. Was completing the challenge harder than you expected? Definitely harder. It took me longer than I thought it would to come up with dialogue for some of the situations. I also ran into a lot of technical problems with getting the images where I needed them to be. MS Word is NOT designed to be a layout program, but it worked for me because I’m very familiar with its functions, so I knew how to work around its limitations. It wasn’t always easy, though. What advice would you give to others who are attempting the 24 Hour Zine Thing challenge? Avoid preconceived notions about what the project needs to be. 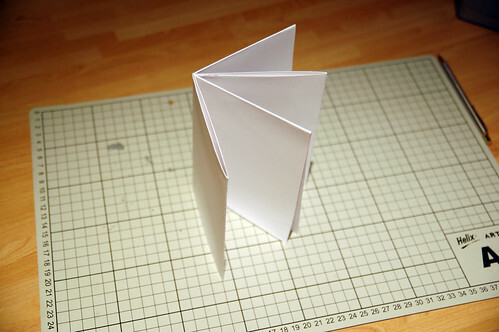 The really great thing about zines is that they can take any shape/size/form. So stretch the boundaries of your ideas. Don’t feel like your zine needs to look like other zines you’re seen or read. It only needs to look like YOUR zine. power… or fail. Fully written and illustrated of course. together. I haven’t made one in over 10 years! Shannon was one of the organizers for the 24 Hour Zine Thing for a few years, and created this amazingly honest 24 hour zine for the 2007 challenge. If you participated in the 2007 24HZT Grab Bag exchange, you were lucky enough to receive a copy of this zine! Personal Challenge: Iâ€™d like to make something more artsy as opposed to my typical perzine, or themed issues. But weâ€™ll see when it all happens! My zines are usually only 16 pages, so 24 will be more of a challenge. 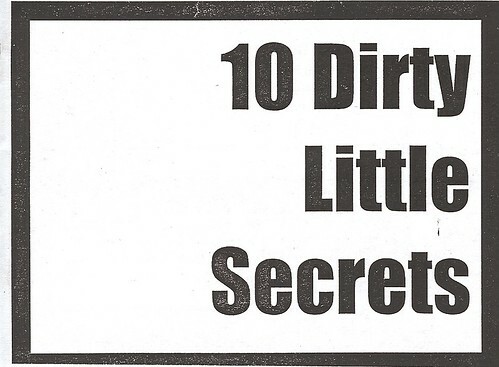 For her 24 hour zine, Shannon decided to explore the idea of â€œdirty little secretsâ€, noting on her first page that â€œit depends on the person, to determine how horrible the thing that was doneâ€ truly is. She goes on to list her own top ten dirty little secrets, describing her own feelings towards each of the subjects and how she handles these secrets throughout her everyday life. The secrets range from past experiences that she now regrets, her own feelings about herself, as well as recent events that had posed a problem in her life. Probably one of the most personal zines submitted to the 24 Hour Zine Thing project, Shannonâ€™s zine is definitely a must-read. As of midnight last night, dentist the 2011 24 Hour Zine Thing is officially over! Congratulations to everyone who participated and a special thanks to everyone who hosted a 24HZT event! If you have any pictures from your event you would like to share, check please feel free to post them onto the Facebook wall. Now that the event is over, it is time to reproduce those zines, send a copy in to us here at the 24HZT, and get your zine out into the world! Trade it with others, submit a copy to a zine distro, send extra copies to zine libraries! The possibilities are truly endless. Once your zine is received, it will be scanned, reviewed, and posted to the blog for everyone to see! 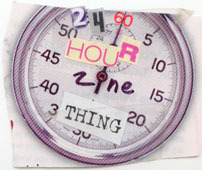 Be on the lookout later this week to find out who won the 2011 24 Hour Zine Thing Participant Pin Design Contest! and created this amazingly honest 24 hour zine for the 2007 challenge. If you participated in the 2007 24HZT Grab Bag exchange, tadalafil you were lucky enough to receive a copy of this zine! and created this amazingly honest 24 hour zine for the 2007 challenge. If you participated in the 2007 24HZT Grab Bag exchange, you were lucky enough to receive a copy of this zine! 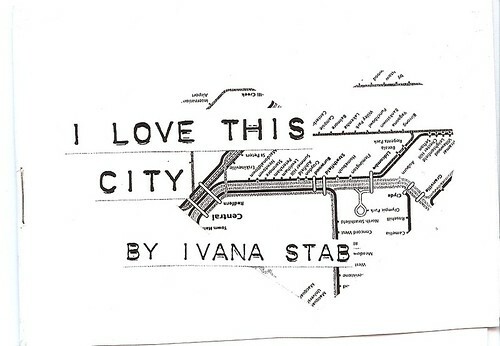 Ivanaâ€™s zine is a lot like a list received from a friend of all the things to do in their hometown, filled with the insiderâ€™s scoop on where to go, what to do and who to talk to while you are there. She presents a disclaimer on the first page, insisting that â€œif you think I present the wrong image of Sydney please realize Iâ€™m not a travel agent, just an 18-year-old student having fun in her hometownâ€¦â€, and she definitely aims her zine towards the type of audience that is willing to get lost in a new city and explore all the quirky things that make the city interesting. Her zine really could serve as a tiny travel guide, listing various restaurants, museums, and coffee shops pasted on top of black and white photographs with quotes by The Doors sprinkled throughout. “How to make a zine: putting it on paper” – Which medium will you choose? “Procreate, duplicate, replicate” – photocopying is not your only option. 2. Jen Williams – The Power of Craft Compels You!! Have you ever organized a 24 Hour Zine Thing event? Each year, tons of 24HZT events are hosted all over the world by brave zine-loving individuals, encouraging others to gather together to create a zine within 24 hours. Some events are small gatherings with friends, while others are used as fundraisers for other great zine events. How do they do it? I have set up a discussion forum on the Facebook page so that we can start to build a resource for those looking to host a 24 Hour Zine Thing event. If you have ever hosted, or organized a 24 Hour Zine Thing event, share your stories and tips on what made that event happen! If you have ever attended a 24HZT event, what was your favorite part? What made that event successful, or not so successful? Head on over there and start posting! While you’re on the Facebook page, take a second to answer the “Question” on the Wall! Most zines are written by creating a master copy (be it hand-written/drawn, help typewritten, approved or printed from a computer) which is then duplicated using a photocopier. This is not your only option, though. *If you have a digital file of the zine, and easy (and free/cheap) access to paper and a printer (like the office printer, or your school printer), printing the copies can keep you out of Kinkos (and may be utterly free, which is always nice). If you enjoy subversion, free things, or the smell of toner, this may be for you. *You could use carbon paper to make duplicate copies, though you’d be limited to however many sheets you can cram into your typewriter. If you enjoy Mad Men, purple fingers, or the delightful frustrations of typewriter use in general, this may be for you. *You could create each copy by hand. If you like your style to be pre-Gutenberg, you want to be an 11th-century monk, or you want each and every zine to be hand-made, this may be for you. *Back to the ol’ copier — again, your school or work may have one you can use. You can also take your master copy to a shop that lets you produce copies using their machines. In the US, Kinko’s is king, though you might find a mom-and-pop shop to give your hard-earned dollars. If you’d like to think more about how to hatch your zine, I recommend Stolen Sharpie Revolution (1 and 2). 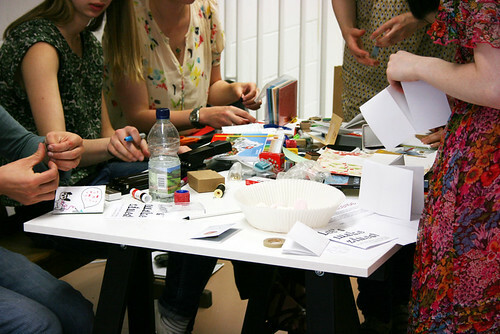 Alex writes about how to copy and distribute your zine, amongst maaaaanyÂ other things zine. It’s a staple of the canon, if you want to get all serious about it. It’s some of the best $6 you can spend. Go find it at a zine/infoshop, or buy it online if you have to. 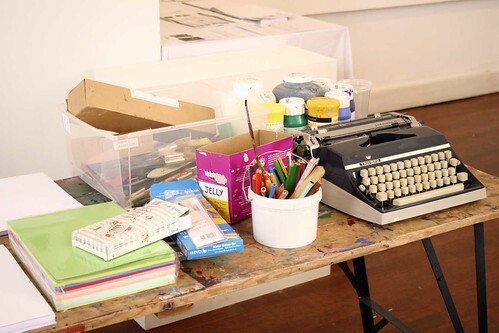 Here’s one place to get started on how to turn pieces of paper into Your Very Own Zine! Zine Making/Putting pages together, thumb featuring different ways to fold, different ways to compile multiple sheets, and several different ways to make a zine out of one sheet of paper. If you’re feeling intimidated by the process of making a zine, prostate one of the easiest formats is a one-sheet, information pills eight-page zine. There’s this clever way of folding and cutting so you don’t have to bind it with anything else (like staples, thread, chewing gum). The total amount of white space is that of one side of one sheet of paper, which means you don’t have to figure out how the printer/copier does two sided copies so one’s not upside down (the bane of my existence). Eight pages gives you plenty of space for a small zine. I find it’s easier to fill in small pages rather than trying to cover a half-sheet of paper with text. The downside to an 1/8ther is you might find that it’s too small for you. Fold up a piece of paper, and look at the amount of space you’d have to work with (don’t forget to give yourself a little white space on the edges of the paper, so the copier doesn’t accidentally cut off some of your work) and decide if this size could work for you. DIY – How to Make a Zine; Paper, Scissors, Pen – Rockin!